The woven lumber covers manufactured at Flexpak are of the highest quality woven plastic material. Flexpak leads the industry with new lumber cover design and prides itself on the ability to produce a cost-effective cover for lumber and wood products in the United States. Flexpak’s manufacturing facility has high yield production capabilities and can deliver competitively priced lumber covers faster than any overseas competitor. The ability to deliver lumber covers manufactured in North America breaks down lead times and reduces the variables of supply often found in the international market. With the ability for quick turn-around and custom sizing options, Flexpak can deliver woven lumber covers in batched sized shipments. Understanding the market changes, lumber covers produced at Flexpak can easily be adjusted for the production size changes. Why choose lumber covers over wrap? Using woven lumber covers is a completely different approach than utilizing rolled lumber wrap at an end-line packaging station. The most noticeable difference is in application. While lumber wrap needs two employees for application, woven lumber covers can be applied with a single employee. While cutting down on labor is a highlight, the cover dimensions allow for less defect tolerance in packaging consistency, and do allow for a more secure package. Woven lumber covers come bundled on a pallet or can be delivered by box. The custom sized lumber cover will fit the specifications of the pallet sizes being produced which is beneficial in many situations. 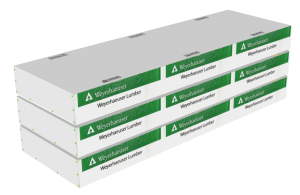 This permits for reduced time in cutting from a roll stock and allows the packaging operator to focus on fastening/stapling the form fit lumber cover. 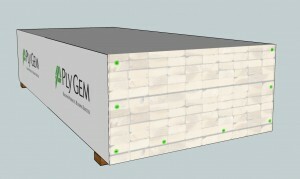 There are also advantages for sawmills and wood product facilities with sales driven packaging requirements. 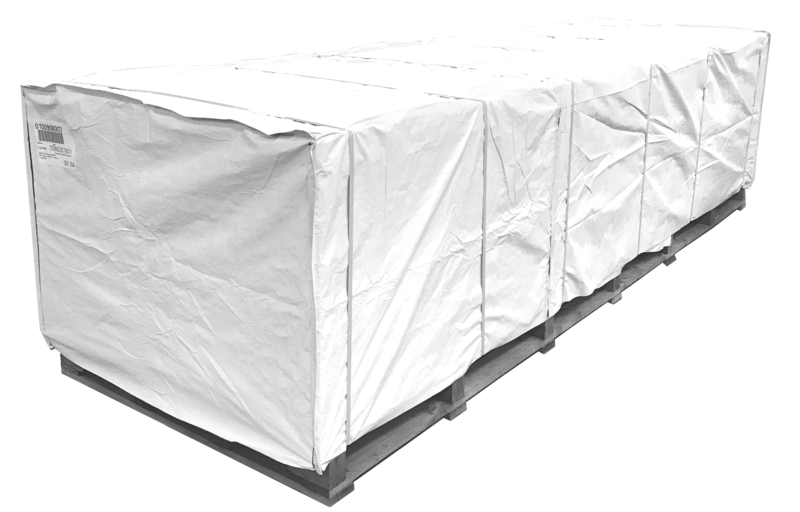 With some suppliers of wood products requiring wrap for all shipments, stocked woven lumber covers allow the shipping department to cover a pallet after it has been produced and awaits departure in the yard. This also allows for mix-match loads of lumber and wood products. 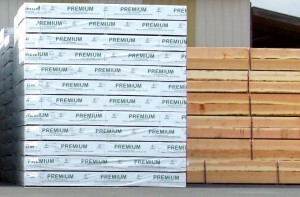 There are several different options for lumber covers and lumber packaging. The sales department at Flexpak is ready to discuss any packaging requirements and answer any questions that there may be. Flexpak was established to meet the high demand for plastic packaging solutions, and more specifically the demand for quality covers in the lumber industry.